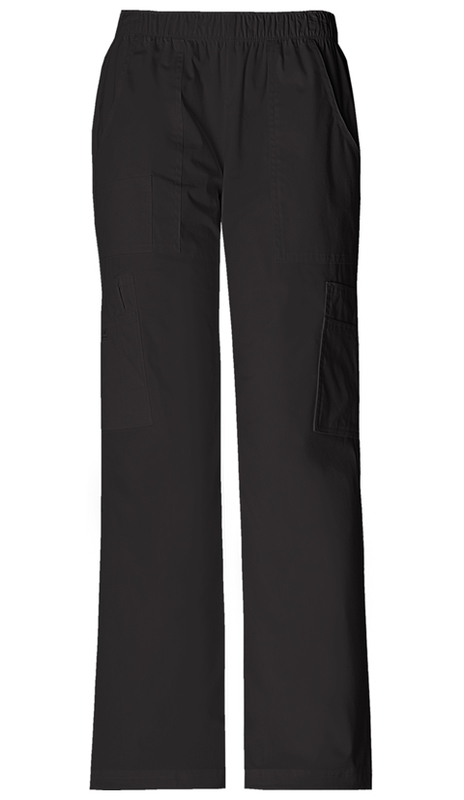 This straight leg pant features a soft elastic inside waistband, front patch pockets and an additional small right patch pocket, and double cargo side pockets with instrument loop. Bungee cord with clear toggle at leg hems for adjustability. Inseam length is 28.5". Made of Poly/Cotton,Twill,Cotton/Poly/Spandex. 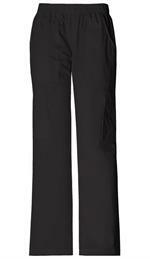 Length is 28 1/2" for petite pant.